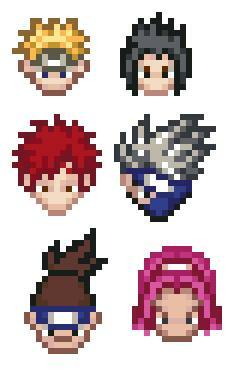 Well here are some cute little Naruto Heads-- They could be put on a towels as a border or made into cute little buttons. If you are a knitter- these character would be perfect for buttons on your sweater!! I hope to add more heads this week as I get them charted up. :) Here is the link to get them. I was checking out how you could make your own buttons-- I never knew how easy it is to make your fabric buttons. Here is a link how to make them on-- YouTube Video. 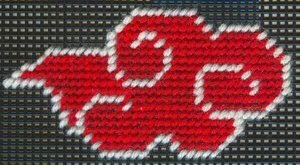 I want to thank Allison for stitching the Akatsuki Cloud. It looks pretty cool in needlepoint! !